Huge Savings Item! 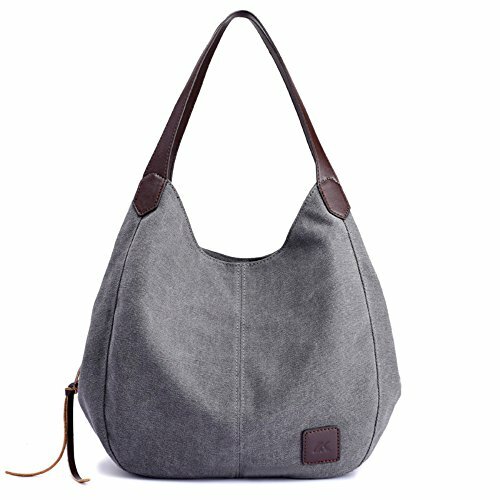 Save 16% on the Alyssaa Women's Canvas Shoulder Handbags Ladies Casual Hobo Shopping Bags Cotton Totes Daily Purses (Grey) by Alyssaa at Style Hoster. Hurry! Limited time offer. Offer valid only while supplies last. Approx Size: 11"Lx 5.1"Wx 11.8"H, top-handle Length: 7"
Perfect for holding small stuffs, such as your iPad, magazine, wallet,umbrella,cosmetic and so on. The shoulder bag walks on the forefront of fashion, is a perfect bag for working,shipping, traveling, school, and daily using. If you have any questions about this product by Alyssaa, contact us by completing and submitting the form below. If you are looking for a specif part number, please include it with your message.